The O3 Gallery has an enviable location in Oxford's city centre Castle Quarter. Just before you enter, turn around and marvel at the imposing facade of the old prison walls. The gallery is situated in what was once part of C-Wing of Oxford's previous prison. They have plenty of experience with over 60 exhibitions having been run since they opened in 2006. Inside, while not huge, the gallery is an interesting space. It's arranged over two levels with curving stone walls and a metal staircase. Often, a gallery space is not much to talk about and it's just about the art inside. The O3 Gallery has retained its personality and history while at the same time providing an unusual space to display works of art. The original pieces on display at the O3 Gallery are available to purchase and anyone entering will feel comfortable to have a look around. Last time I visited they had an exhibition called 'Freeze' running (and it's still there until 27th January 2013). The exhibition features two artists. Rachel Owen's prints look striking hung on the curved walls of the O3 Gallery. "Her current work comprises screenprinted images derived from photos taken on recent travels, and prints reflecting a continuing interest in illustration". The limited edition prints on show are £330 unframed and £420 framed. Exhibiting alongside, is Rachel Ducker. I first saw her work at the Oxford Scultptors Exhibition at the North Wall Art Centre. Her figurative pieces made of steel wire seem to have a life of their own, ready to leap from the walls or serenely relaxing. Rachel originally trained as a jeweller and her talents have translated well into sculptures, drawings and sketches. The prices for her work vary depending on the size and complexity, starting at £95 for the small fairies. The exhibitions change on a monthly basis with a variety of different contemporary artists' works available to view. The O3 Gallery also organises events with different speakers talking on a range of subjects in venues across the city from the Fusion Arts Centre to the Magdalen Road Studios. Check the O3 Gallery website for details on both. The Gallery have also purchased a number of pieces from the various exhibitions they have run. "The result is a rich accumulation from many of the region's most talented artists, reflecting the diversity and progression of the art scene in and around Oxford". You can view these online for the time being with plans for a public exhibition every 10 years. However, you can see a couple of sculptures on permanent display outside before you enter. 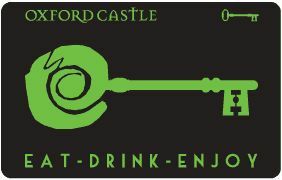 This is also the place to pick up the free Oxford Castle Quarter Key Card which gives you discounts at some of the different venues in the quarter. Admission is free and the gallery is generally open from Tuesday to Friday 12-5pm and at the weekend from 11am to 4pm, closed on Mondays. They are sometimes closed between exhibitions for set up of the next event so it's worth checking in advance if you've got your heart set on visiting. I've turned up before and missed out on a visit. If you're in the Oxford Castle quarter, then why not pop in and enjoy the latest exhibition?